Hi my name is Greg. I go to Maplewood Career Center in Ravena Ohio. At Maplewood I am taking Computer Business Technology(cbt). My home school is Field High School, in Brimfield Ohio. At Field I am in the Marching Band, Drumline, and Drama.In Marching Band I play the Sax, in Drumline I play cymbols, and in Drama I am on sound. I also like to ride Bmx for fun in my spare time. I like to grind, and jump. 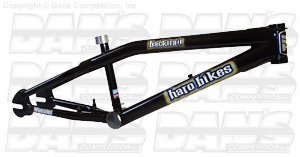 I ride a Haro Backtrail just like the one above(except its the full bike). I like to ride any time of the year. But I like to ride in the summer the most. In the winter I like to ride on the pond I have in my back yard. Now here's a shout out to all my friends. Devin P: You are one of my best friends dude and I will always be there to back you up if you ever get in a mess. You have always been there for me. Brittany R: I appreciate everything that you do for me. I have a lot of fun everywhere we go or anything we do. Thank you. Sam G: You are such a good friend to me. Thanks for all the memories. Kevin K: You and I used to hate each other, but now we are good friends.I will always be there for you. And I hope we always will be. And thanks for all the rides home, I know you dont have to but you do out of friendship. Brandon R: your a great cymbol partner, your a great friend. Brandy B: You are a "band mom". And your really cool. Kayla B: Your a good friend . And hopefully always will be. Alesia M: Your a cool friend. Heather Jakabison: Your a good friend thanks for all the rides. Heather G: Thanks for all you have done for me and all of the times you listen to me talk about my life. Nikki Shaffner: Hey thanks for your advise about what we talked about that one day. see you later. Mike B: It's been awile since I saw you from school. But now we see each other again. Kristy M: I just met you this year but you are really cool. Thanks for helping me with my web page. Matt Coury: I just met you this year but I hope we could better friends. You are cool and talented on the computer. thanks for all your help. Brian R: Thanks for all that you have done for me, your a true friend. Lisa Marks: You are a cool person. So keep it real. Krystal B: I had a lot of fun talking to you this year. Tony M: Stay cool playa. Hereare some of my favorite sites. mustangworld.com Kristy's Page! Ground designs2000.com Dodge.com Also I want to say Mom I love you. And would not know what to do with out you.